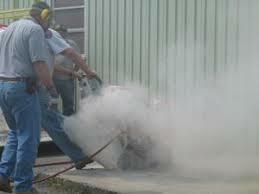 The purpose of this training is to alert employees to the hazards of silica exposure. 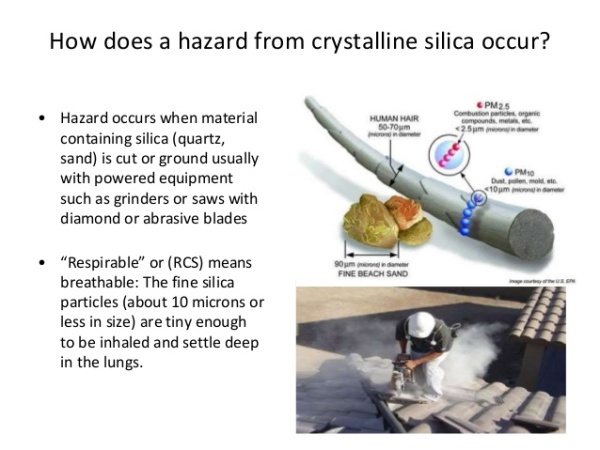 E Light Electric Services, Inc. requires all employees to be trained to recognize and mitigate the hazards of silica in the workplace. The dioxide form of silicone, occurring especially as quartz sand, flint, and agate: used usually in the form of its prepared white powder chiefly in the manufacture of glass, water glass, ceramics, and abrasives. -It is found naturally in almost all rock and soil. -Also found in concrete products and brick. 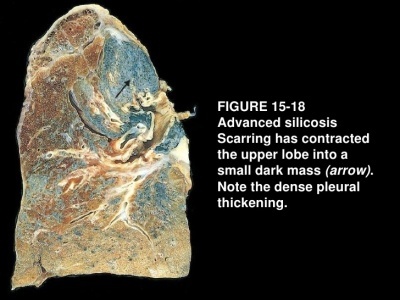 Inhaled silica dust scars the lungs. 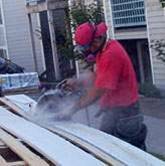 A lung disease called “silicosis” is caused by breathing of dust containing silica. The dust causes “fibrosis” or scar tissue formation in the lungs. This reduces the lung’s ability to extract oxygen from the air. develops after 10 or more years of exposure to crystalline silica at relatively low concentrations. develops 5 to 10 years after initial exposure to crystalline silica at high concentrations. develops within a few weeks, or 4 to 5 years, after exposure to very high concentrations of crystalline silica. 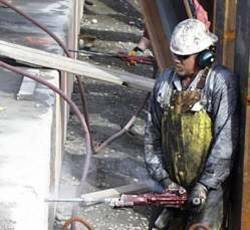 To protect workers from silica exposure OSHA has set specific exposure standards. 1926.1153 all occupational exposures to respirable crystalline silica in construction work, except where employee exposure will remain below 25 micrograms per cubic meter of air (25 μg/m3) as an 8-hour time-weighted average (TWA) under any foreseeable conditions. 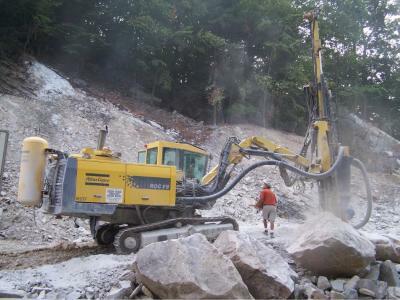 The best way to protect yourself from the health hazards of silica is to not be around it all. Always try to plan work to keep employees away from exposure. -Plan work such as setting anchors in a deck before concrete is poured. 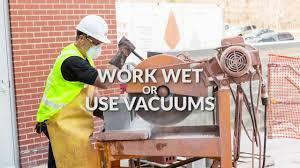 -Use wet methods whenever cutting concrete or sanding concrete when possible. -A competent person must be designated on the site. The competent person will be responsible for evaluating each task before starting. -Because situations may change, EACH TASK must be evaluated and a JHA must be developed specific to the task before starting the task. -A “general JHA” that covers a broad scope of work will not be acceptable. 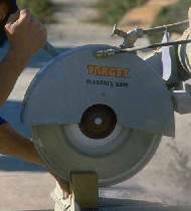 Whenever drilling a hole larger than 1/2" into concrete a dust collection system or a wet method is required to control the dust. If there is a situation where there is multiple holes being drilled or the holes are in an enclosed space, these protections are also required regardless of the size of the hole. 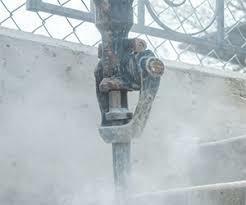 Concrete work can develop heavy amounts of dust. 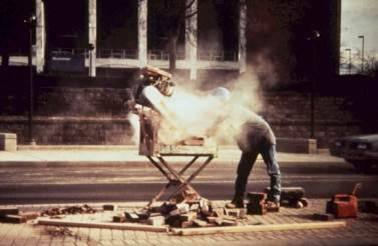 E Light Electric Services, Inc. employees are not typically at a high risk of exposure to silica dust. However other contractor tasks may create hazardous conditions for E Light employees. Be sure to always communicate with other contractors. If another contractor is creating a hazardous condition, E Light employees must leave the area until the conditions are safe. E Light employees must report any unsafe conditions to the supervisor and/or competent person immediately. 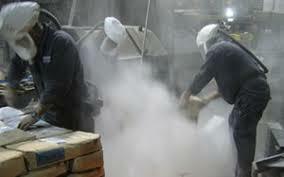 If E Light employees are creating a silica hazard, the task must be stopped and re-evaluated in order to control the dust before continuing the task. On some new construction, a lightweight concrete siding (hardiplank) is being used. Cutting this siding with a power saw without water or ventilation can result in silica overexposure. 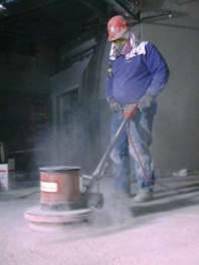 Always avoid dry sweeping or using forced air to clean up concrete dust. These are both methods that will stir up a large amount of dust. Instead, use wet sweeping methods or use a high efficiency vacuum for clean up. No employee shall be forced to wear a respirator. 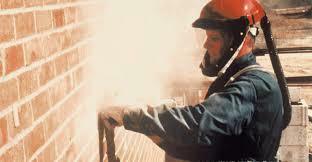 If conditions exist where a respirator would be required, E Light employees must move out of the area until it is safe to return without a respirator. Employees may voluntarily wear a N95 type respirator if they feel they need one as long as the competent person has deemed it to not create a greater risk for the employee.